Welcome to October, DFW! (We know, we were starting to think that it would never arrive, either.) It’s time to celebrate that cooler weather by giving your HVAC system a little break from that end-of-summer sprint and to ensure that it’s a fine-tuned machine before those temps really begin to drop. Also, feel free to celebrate by enjoying what is also one of Reliant Man’s favorite things about fall – saving money. Yep, the dip in temperatures also means a little extra jingle and jangle in your pocket, no Christmas-is-around-the-corner pun intended. It’s pretty simple, really. Put on a pair of socks, or maybe a pullover. This super-easy strategy will help you delay turning on the heat, and it won’t cost you a dime. If you regulate your body heat during the cooler months with clothing or even an extra blanket, you can actually avoid switching over that thermostat during the weeks to come. Or, in the very least, you can get away with turning that thermostat up too high. Just be sensible about it, though. If you find yourself piling on scarves and cable-knit sweaters just to watch the evening news, it’s time to heat up that HVAC system. Your HVAC system can keep your home warm all day long, but you can’t expect to keep things nice and toasty if the air keeps seeping out of the cracks and crannies of your home. When it comes to windows and doors, this is especially true. The reverse is also true – you want to keep warm air in while keeping cold air out. Home improvement stores offer several fantastic solutions for your doors and windows, ranging from energy-saving films, insulating strips, thermal curtains, and more. So before you switch that furnace to the “roar” setting, try a few of these strategies first. Even if you’ve got to purchase a few supplies, it’ll still be a lot more efficient than that bill. Open curtains during the day to let in the sun’s warmth, and close them again at night to insulate your home. Close doors to rooms that aren’t in regular use. Don’t leave those windows open at night. If you’ve got a small personal space heater, use it in the evenings to keep warm for short periods of time, following safety protocols, of course. Most importantly, maintenance matters. You don’t want to wait until you actually have to depend on your furnace before discovering that something’s broken or malfunctioning. What’s the solution? 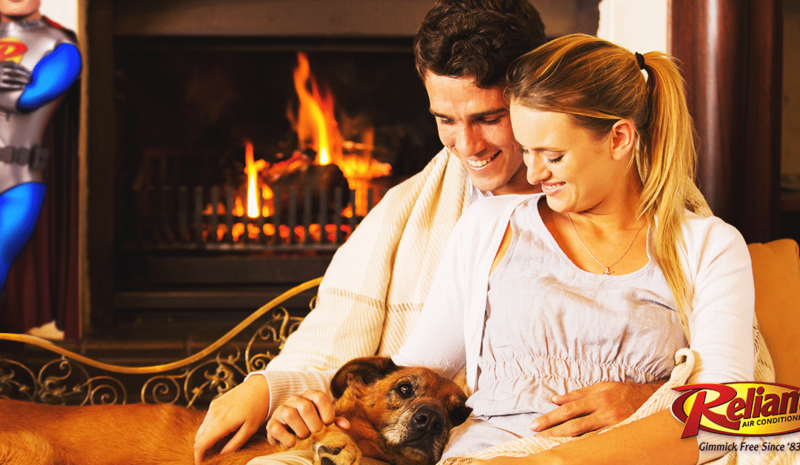 Prevent your home from getting cold in the first place. Contact Reliant Air Conditioning today and get that fall tune-up scheduled before the first cold snap of the year arrives! Click HERE to conveniently sign up online for our Hero Club, which will ultimately help you save money and protect your HVAC system investment. We take our jobs seriously around here at Reliant Air Conditioning. We’re the company for HVAC service Fort Worth and Dallas choose time and time again because we’re dependable, we’re fair, and we don’t partake in misleading gimmicks. So call two other companies, then give us a call. You’ll be glad you did.